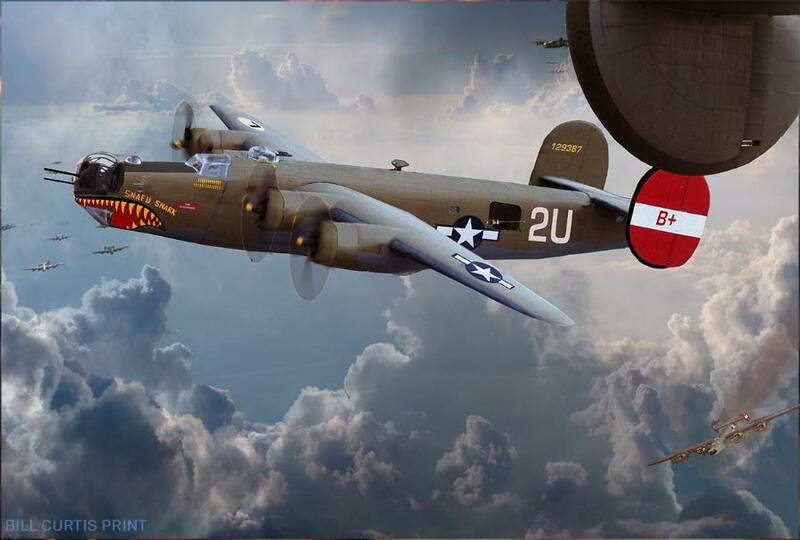 Featured on this page are 466th BG Liberators "Calm Waters", "Queen of Hearts" "Contrails", "Generator Jenny" and "Ramblin Wreck"
The North Sea was only a few miles north of Attlebridge . 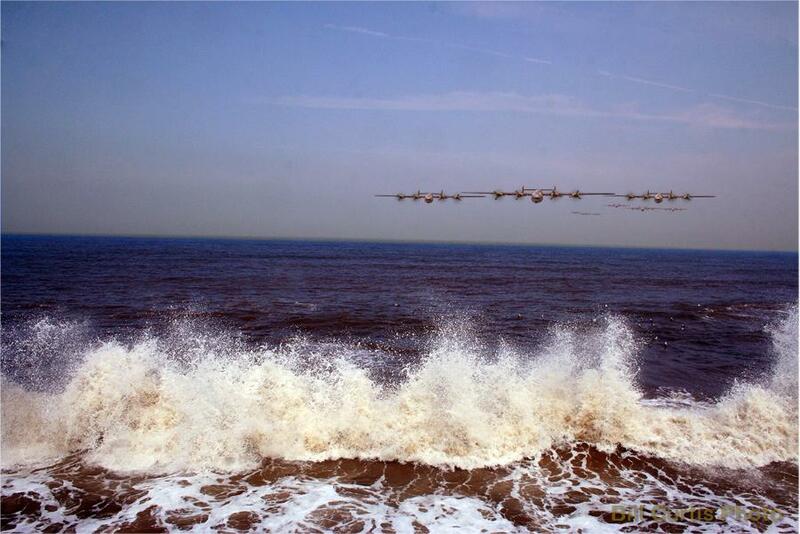 off the beach at Cromer. 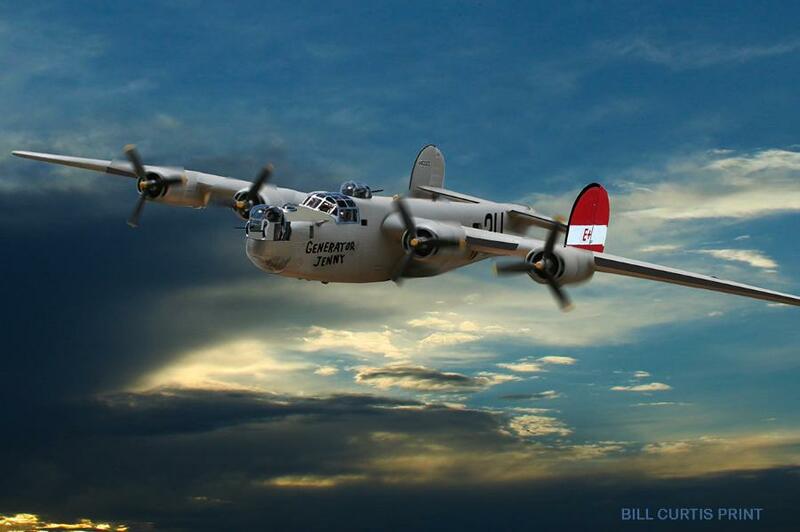 After the combat missions the English coast was a welcome sight. 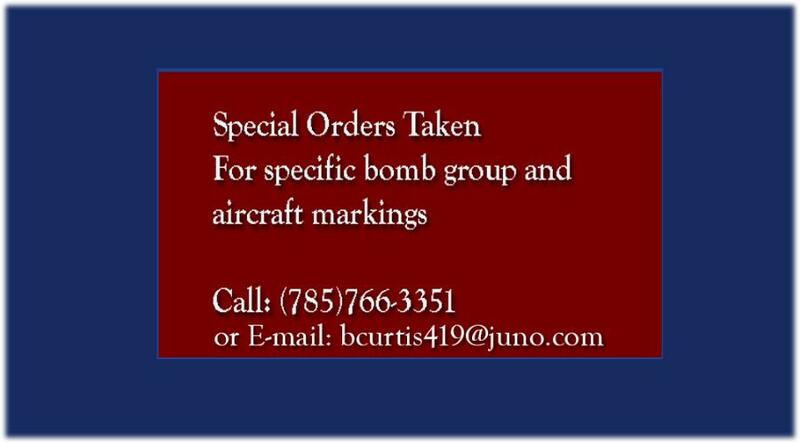 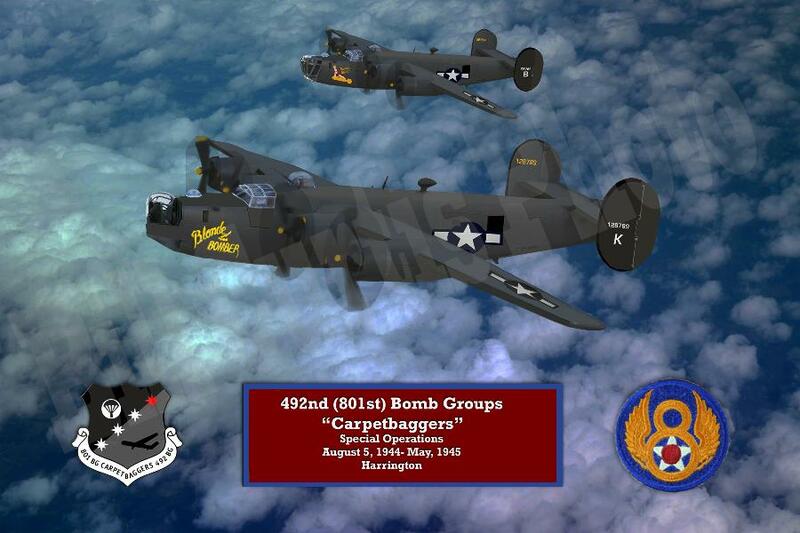 I have been researching the 801st and 292nd Bomb Groups and known as "The Carpetbaggers". 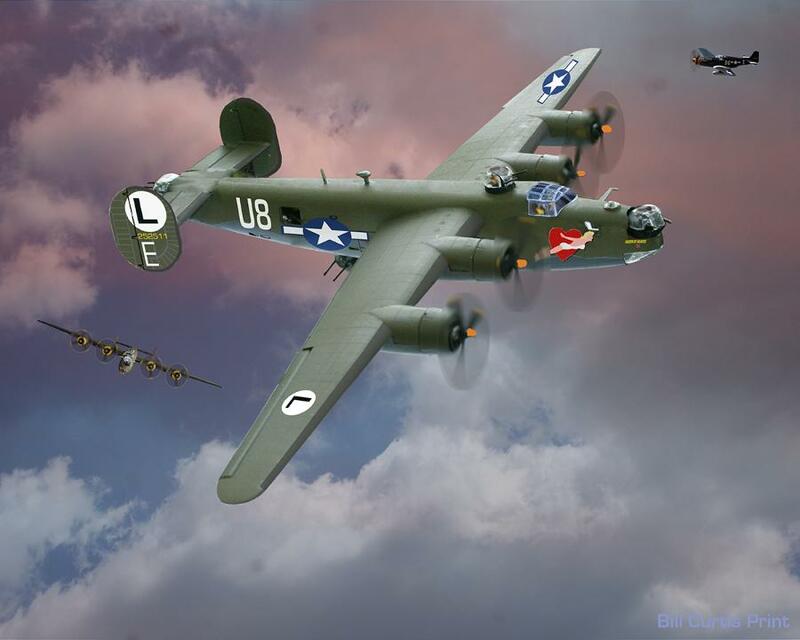 They were stationed at Harrington were doing "Special Operations", The aircraft were painted black and flew night missions behind enemy lines in Europe to supply the underground groups, drop spies, and other similar duties. 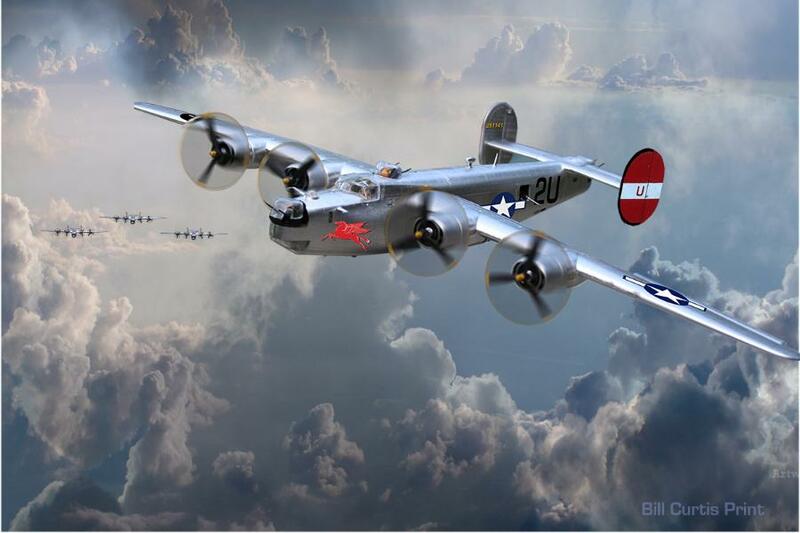 The Print below is one I've been working on and features two B-24's : A/C # 41-28789 "Blonde Bomber and A/C # 42-94794 "Yankee Maid"